Kanal-Centre Pompidou is a former Citroën garage in the process of becoming the premier cultural institution in Brussels. 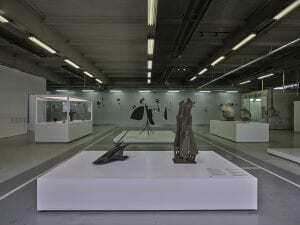 But before the momentous renovation work begins in June 2019, the vast industrial space, left in its raw state, will host works from the Pompidou Center’s collection, displayed under the title “Brut”. 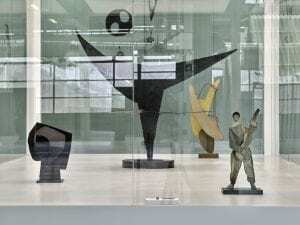 It is in this context that Gonzalez’s “Tête de profondeur” (1930) is on display once more in the Belgian capital. Gonzalez’s masterpiece was designated a national treasure by the French government in 2003 for its importance as part of French cultural heritage. 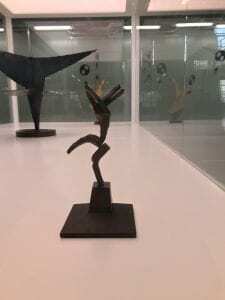 It is featured, along with Gonzalez’s “Petite danseuse” (1929-30) in the “Sheet steel” section of the exhibition, which explores the role of this raw material, largely exploited by Gonzalez, in the evolution of modern metallic sculpture. 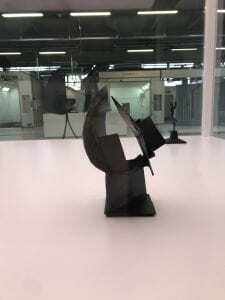 “Tête en profondeur”, forged in sheet metal, demonstrates how Gonzalez manages to integrate space into his compositions as an integral constructive element. 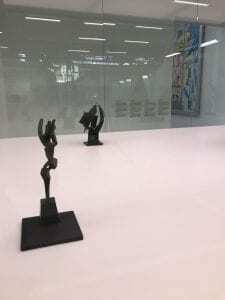 Recognized at Kanal as a precursor for contemporary art, his work will dialogue with those of renowned artists like Juan Gris, César and Robert Rauschenberg. On display through June 2019. Find out more.